When one looks through the repertoire of swing bands, one inevitably comes across the works of the master, Duke Ellington. 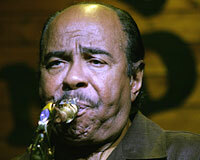 If one does the same in the band books of modern jazz one inevitably comes across the incomparable tenor saxophonist Benny Golson (born on 26 January 1929 in Philadelphia) who is at the top of the list when it comes to composers. 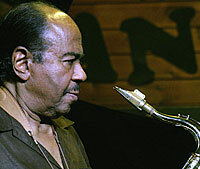 Golson also has a place in Jazz history as an outstanding improviser and soloist. A great week with a great musician and a fine human being who will be backed up by the world-class trio of Fritz Pauer (piano), Johannes Strasser (bass), and Joris Dudli (drums).